SoHo Cafe & Market is doubling the number of its downtown locations, for a total of six by early 2019. WASHINGTON — Despite the proliferation of fast-casual lunch options in D.C., downtown office dwellers still like their hot bars and salad bars, and one of the original hot-cold bars is expanding. Newmark Knight Frank represented SoHo Cafe in leases for 1750 New York Ave. Northwest; The Portals III, at 1201 Maryland Ave. Southwest; and the Millennium Building, at 1909 K St. Northwest, in addition to three existing locations in and around the District: 1301 K St. Northwest, 1825 Connecticut Ave. Northwest and 11225 South Clark St., Arlington. SoHo Cafe was a pioneer in the hot-cold bar business, opening its first D.C. location 25 years ago. “Modeled after the successful delis of New York City, my father was early to introduce the hot-cold buffet concept to the Washington market,” said Des So, the current owner of the chain and the son of the founder. 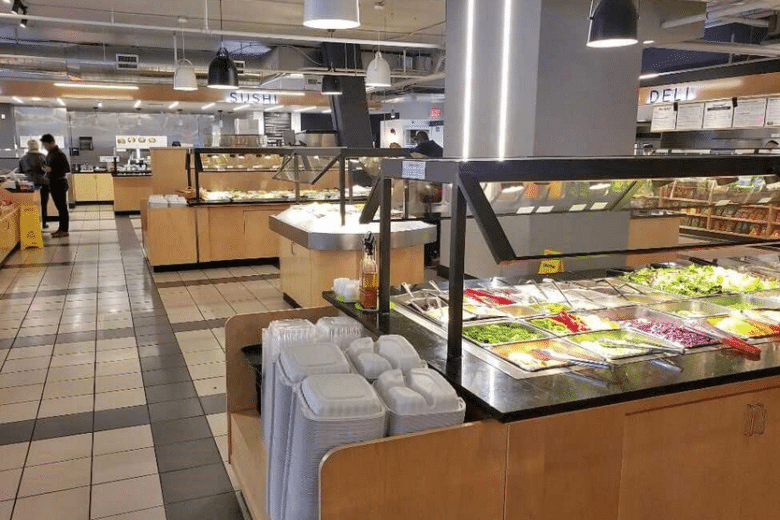 SoHo Cafe locations serve a full hot breakfast buffet and lunch, with hot bar entrees, sandwiches, pizza and its MyKup build-your-own Korean BBQ bowls. “MyKup is our answer to the growing popularity of bibimbap-style Korean barbecue of rice, noodle or veggie bowls with protein choice,” So said. The 1750 New York Ave. location will be called Met Cafe, and will double as a venue for weddings and corporate events, with a patio facing Rawlins Park and roof deck that overlooks The Ellipse and Washington Monument.